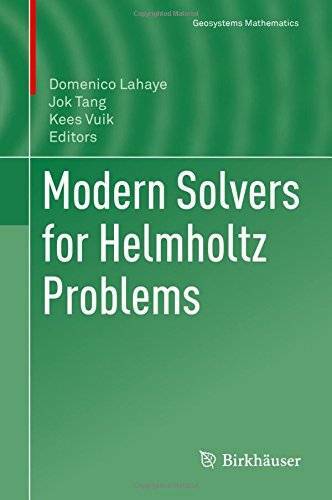 new developments and analysis in Helmholtz solvers, practical methods and implementations of Helmholtz solvers, and industrial applications. The Helmholtz equation appears in a wide range of science and engineering disciplines in which wave propagation is modeled. Examples are: seismic inversion, ultrasone medical imaging, sonar detection of submarines, waves in harbours and many more. The partial differential equation looks simple but is hard to solve. 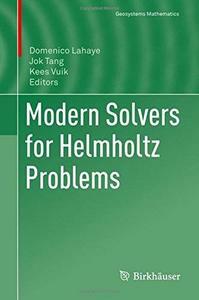 In order to approximate the solution of the problem numerical methods are needed. First a discretization is done. Various methods can be used: (high order) Finite Difference Method, Finite Element Method, Discontinuous Galerkin Method and Boundary Element Method. The resulting linear system is large, where the size of the problem increases with increasing frequency. Due to higher frequencies the seismic images need to be more detailed and, therefore, lead to numerical problems of a larger scale. To solve these three dimensional problems fast and robust, iterative solvers are required. However for standard iterative methods the number of iterations to solve the system becomes too large. For these reason a number of new methods are developed to overcome this hurdle. The book is meant for researchers both from academia and industry and graduate students. A prerequisite is knowledge on partial differential equations and numerical linear algebra.